My home institute is the University of New Mexico Department of Physics and Astronomy in Albuquerque, NM, USA. I teach the full range of physics courses required for an undergraduate degree at UNM, as well as specialized graduate courses in particle physics. The UC School of Physical and Chemical Sciences hosts research across a wide range of frontier fields, some of which are not represented at my home institute. I hope to become better acquainted with these research fields and in fact have already begun to do so through interesting conversations with members of the School. I am teaching in two courses: Quantum Field Theory (PHYS416) and Applied Electrodynamics (PHYS313). Since arriving at UC four weeks ago, I have delivered two special topic lectures to the students of PHYS310 (Modern Physics). I also delivered two seminars to faculty, advanced students and researchers on Silicon Tracking Detectors for contemporary particle physics experiments, such as those at the Large Hadron Collider. In addition, I presented a talk on ‘Active Learning Techniques for Science Instruction’ that was attended by members of the UC community, drawn from a range of schools and departments. I’ve enjoyed contributing as a panel member on a review of the PCAS (Post Graduate Certificate in Antarctic Studies) program; this allowed me to read a variety of fascinating background documents about that program, to spend a full day in discussion and interviews with members of the UC faculty, staff, and students involved in it, and then contribute to the preparation of a document on the panel’s findings. I have been welcomed warmly into my host school (Physical and Chemical Sciences). Faculty there greeted me with a coffee hour, offered me tours of their laboratories, and even invited me to dinner in their homes. With regards to living in Christchurch, I really enjoy the crisp cool days combined with the magnificent landscape. They are a source of immense pleasure to me and my family, every day. The Erskine Programme is pleased to announce the arrival of the first two visiting fellows for Semester Two 2018. Professor Octavio Manero-Brito from The National Autonomous University of Mexico, Mexico who is visiting the School of Mathematics and Statistics. We hope they and their families have a wonderful time at UC. The Erskine Programme is pleased to announce the recipients of the 2019 Canterbury, Cambridge and Oxford Visiting Fellowships and Grants. Professor Sudesh Mishra from the University of the South Pacific, Fiji who will be visiting the School of Humanities and Creative Arts (English), and the Macmillan Brown Centre for Pacific Studies. Dr Bradford Wilson from Princeton University, USA who will be visiting the Departments of History and Politics, and the School of Law. Dr Paul Matthews from the University of Georgia, USA who will be visiting the School of Educational Studies and Leadership. Professor Robert Hackett from Simon Fraser University, Canada who will be visiting the Department of Media and Communications. Professor John Nauright from the University of North Texas, USA who will be visiting the School of Health Sciences. Dr Thomas Bennett from the University of Cambridge, UK who will be visiting the School of Physical and Chemical Sciences. Dr Timothy Weil from the University of Cambridge, UK who will be visiting the School of Biological Sciences. Dr Roisin Burke from the School of Law, who will be visiting the Faculty of Law at the University of Oxford, UK. Dr David Pomeroy from the School of Teacher Education, who will be visiting the Faculty of Education at the University of Cambridge, UK. Professor Annick Masselot from the School of Law, who will be visiting the Centre for European Legal Studies at the University of Cambridge, UK. We would like to congratulate all the recipients. 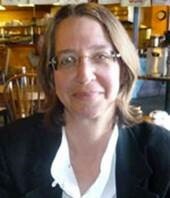 The Erskine Programme would like to welcome Professor Sally Seidel from the University of New Mexico, USA to UC. Professor Seidel will be joining the Department of Physical and Chemical Sciences for 3 months. We wish Professor Seidel and her family an enjoyable time at UC.